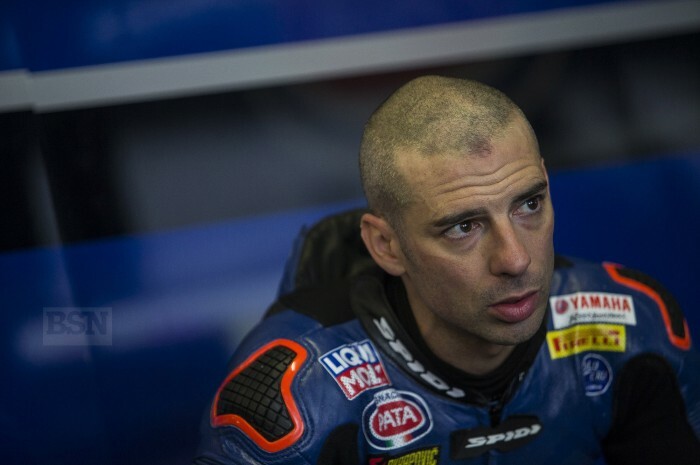 Not long after announcing the WorldSBK Yamaha R1 suited his riding style, Marco Melandri has decided it actually doesn’t. The Italian, who parachuted into the GRT team when their plan to recruit some young pups went awry, didn’t get on at all well during the Portimao test. “For me it’s very difficult at the moment to brake how I want; the bike doesn’t respond well to my riding style under braking and on entry to the corner,” he said.